Tokyo Governor Yoichi Masuzoe has refused to resign after a probe into allegations of a misuse of public funds found that his use of ‎¥‎300,000 for bald head shine was ‘improper’ but not illegal. “I regret from the bottom of my heart that the investigation showed this expense that could be called private was not necessarily appropriate,” Masuzoe told the press conference. 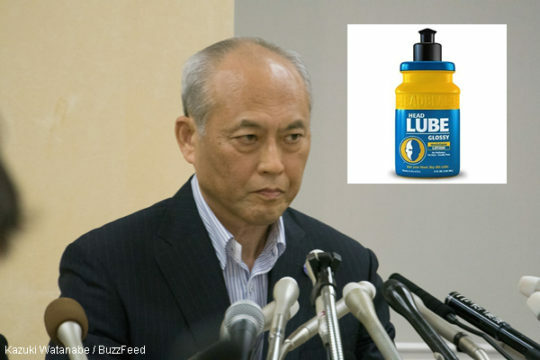 The report confirmed Masuzoe had purchased numerous cases of the men’s health product Head Lube Glossy. Masuzoe had previously claimed the gloss was important for carrying out public duties. The two lawyers concluded that the head shining oils were “inappropriately” booked as political expenditures as they likely didn’t aid in the delivery of public service.